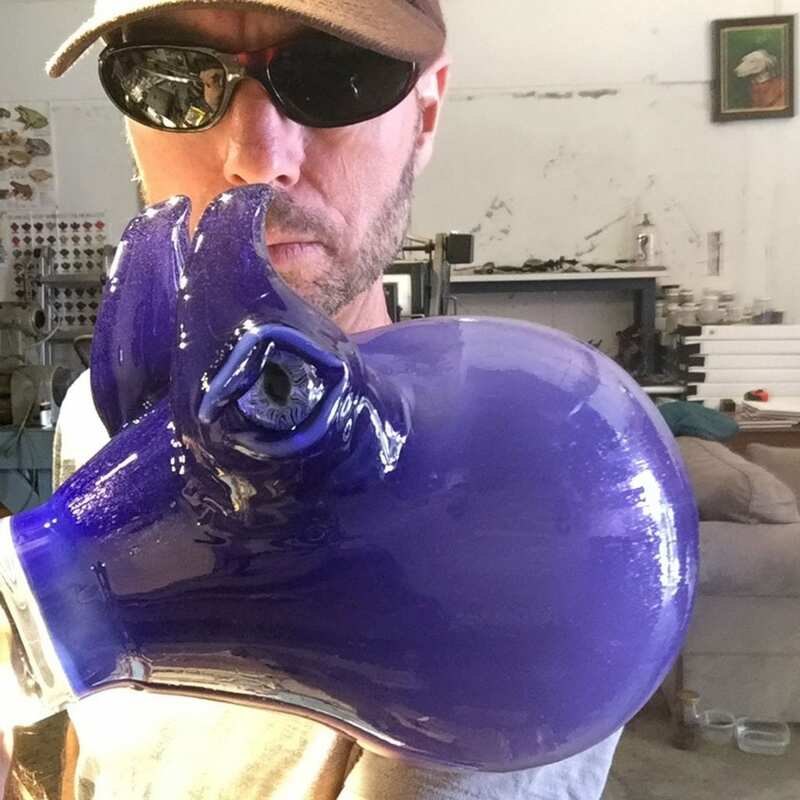 In this video I'm making an octopus head for an octopus chandelier. For the Octopus chandelier I made I needed to use my furnace. Normally I can melt and shape the glass using my torch but for larger pieces I use the furnace. The furnace contains a big pot of molten glass that I can dip from. It saves a lot of time trying to get the glass hot with a torch. In this video I am taking a dip from the furnace. After the blank is dipped in the furnace I reheat it with my torch and swing it to stretch it so the head is the correct shape. Then I let it slump to further shape it. 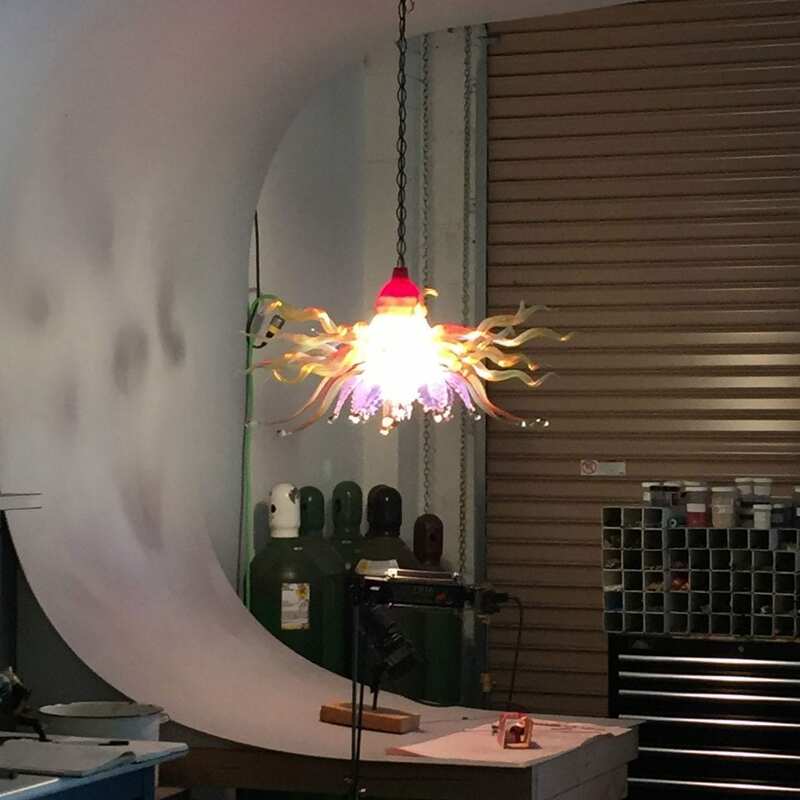 Here is a photo of the completed head for the Octopus chandelier.